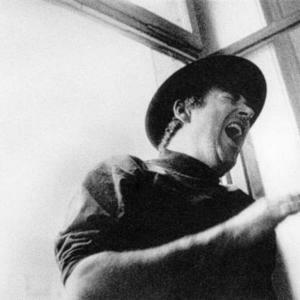 Fred Frith (born February 17, 1949) is an English multi-instrumentalist, composer and improvisor. Probably best-known for his guitar work, Frith first came to attention as one of the founding members of the English avant-prog group Henry Cow. Frith was also a member of Art Bears, Massacre and Skeleton Crew. He has collaborated with a number of prominent musicians, including Robert Wyatt, Brian Eno, Lars Hollmer, The Residents, Lol Coxhill, John Zorn, Bill Laswell, Derek Bailey, Iva Bittov&aacute; and Bob Ostertag. Probably best-known for his guitar work, Frith first came to attention as one of the founding members of the English avant-prog group Henry Cow. Frith was also a member of Art Bears, Massacre and Skeleton Crew. He has collaborated with a number of prominent musicians, including Robert Wyatt, Brian Eno, Lars Hollmer, The Residents, Lol Coxhill, John Zorn, Bill Laswell, Derek Bailey, Iva Bittov&aacute; and Bob Ostertag. He has also composed several long works, including Traffic Continues (1996, performed 1998 by Frith and Ensemble Modern) and Freedom in Fragments (1993, performed 1999 by Rova Saxophone Quartet). Frith was born in Heathfield in Sussex, England into a family where music was considered an essential part of life. He started violin lessons at the age of five and became a member of his school orchestra. But at 13 he switched to guitar after watching a group imitating a popular instrumental band at the time, The Shadows. He decided to learn how to play guitar and get into a band. Frith taught himself guitar from a book of guitar chords and soon found himself in a school group called The Chaperones, playing Shadows and Beatles covers. But when Frith started hearing blues music from the likes of Snooks Eaglin and Alexis Korner it changed his whole approach to the guitar, and by the time he was 15, The Chaperones had become a blues band. Frith's first public performances were in 1967 in folk clubs in the North of England, where he sang and played traditional and blues songs. Besides the blues, Frith started listening to any music that had guitar in it, including folk, classical, ragtime and flamenco. He also listened to Indian, Japanese and Balinese music and was particularly drawn to East European music after a Yugoslav school friend taught him folk tunes from his home. Frith went to Cambridge University in 1967 where his musical horizons were expanded further by the philosophies of John Cage and Frank Zappa's manipulation of rock music. Frith graduated from Cambridge with a BA (English Literature) in 1970, and an MA (English Literature) in 1974, but the real significance of Cambridge for him was that that was where the seminal avant-prog group Henry Cow were formed. Frith met Tim Hodgkinson, a fellow student, in a blues club at Cambridge University in 1968. "We'd never met before, and he had an alto sax, and I had my violin, and we just improvised this ghastly screaming noise for about half an hour." But something clicked and recognizing their mutual open-minded approach to music, Frith and Hodgkinson formed a band there and then. They called it Henry Cow and they remained with the band until its demise in 1978. In the early 70's Fred's grey Morris Minor sported the band's heraldic logo, much to the amusement of boys at his dad's grammar school in York where he was the headmaster. Frith composed a number of the band's notable pieces, including "Nirvana for Mice" and "Ruins". While guitar was his principal instrument, he also played violin (drawing on his classical training), bass guitar, piano and xylophone. In November 1973, Frith (and other members of Henry Cow) participated in a live-in-the-studio performance of Mike Oldfield's Tubular Bells for the BBC. It is available on Oldfield's Elements DVD. After Henry Cow's first album, Frith released Guitar Solos in 1974, his first solo album and a glimpse at what he had been doing with his guitar. The album comprised eight tracks of unaccompanied and improvised music played on prepared guitars. It was recorded in four days at the Kaleidophon Studios in London without any overdubbing. When it was released, Guitar Solos was considered a landmark album because of its innovative and experimental approach to guitar playing. The January 1983 edition of Down Beat magazine remarked that Guitar Solos "... must have stunned listeners of the day. Even today that album stands up as uniquely innovative and undeniably daring." It also attracted the attention of some "mainstream" musicians, including Brian Eno, resulting in Frith playing guitar on two of Eno's albums, Before and After Science (1977) and Music for Films (1978). In the mid-1970s, Frith contributed a series of articles to British weekly music magazine, New Musical Express entitled "Great Rock Solos of our Time". In them he analyzed prominent rock guitarists of the day and their contribution to the development of the rock guitar, including Jimi Hendrix and Eric Clapton. While recording Henry Cow's last album, differences emerged between the group members over the album's content. Frith and Chris Cutler favored song-oriented material, while Hodgkinson and Lindsay Cooper wanted purely instrumental compositions. As a compromise, Frith and Cutler agreed, early in 1978, to release the songs already created on their own album, Hopes and Fears, under the name Art Bears (with Dagmar Krause). The instrumental material was recorded by Henry Cow on Western Culture later that year, after which the band split. The Art Bears trio continued purely as a studio group until 1981, releasing two more albums, Winter Songs in 1979 and The World As It Is Today in 1981. During this time Frith also released Gravity (1980), his second solo album, recorded at Norrg?rden Nyvla in Uppsala, Sweden with Swedish group Samla Mammas Manna, and at the Catch-a-Buzz studio in Rockville, Maryland with United States band The Muffins. It showed Frith breaking free from the highly structured and orchestrated music of Henry Cow and experimenting with folk and dance music. "Norrgarden Nyvla" was also the title of one of the tracks on the album and is considered one of Frith's most recognizable tunes. Towards the end of 1979 Frith relocated to New York City where he immediately hooked-up with the local avant-garde/Downtown music scene. The impact on him was uplifting: "... New York was a profoundly liberating experience for me; for the first time I felt that I could be myself and not try to live up to what I imagined people were thinking about me." Frith met and began recording with a number of musicians and groups, including Henry Kaiser, Bob Ostertag, Tom Cora, Eugene Chadbourne, Zeena Parkins, Ikue Mori, The Residents, Material, The Golden Palominos and Curlew. He spent some 14 years in New York, during which time he joined a few bands, including John Zorn's Naked City (in which Frith played bass) and French Frith Kaiser Thompson (consisting of John French, Frith, Henry Kaiser and Richard Thompson). Frith also started three bands himself, namely Massacre, Skeleton Crew and Keep The Dog. Massacre was formed in 1980 with bassist Bill Laswell and drummer Fred Maher. A high energy experimental rock band, they toured the United States and Europe in 1980 and 1981, and released one album, Killing Time (1981), recorded at Martin Bisi's later-to-be historic studio in Brooklyn. Massacre split in 1981 when Maher left, but later reformed again in 1998 when drummer Charles Hayward joined. The new Massacre released three more albums. Skeleton Crew, a collaboration with Tom Cora from 1982 to 1986, was an experimental group noted for its live improvisations where Frith (guitar, violin, keyboards, drums) and Cora (cello, bass guitar, homemade drums and contraptions) played a number of instruments simultaneously. They performed extensively across Europe, North America and Japan and released Learn to Talk in 1984. Zeena Parkins (electric harp and keyboards) joined in 1984 and the trio released The Country of Blinds in 1986. In October 1983 Skeleton Crew joined Duck and Cover, a commission from the Berlin Jazz Festival, for a performance in West Berlin, followed by another in February 1984 in East Berlin. Frith formed Keep the Dog in 1989, a sextet and review band for performing selections of his extensive repertoire of compositions from the previous 15 years. The lineup was Frith (guitar, violin, bass guitar), Ren&eacute; Lussier (guitar, bass guitar), Jean Derome (winds), Zeena Parkins (piano, synthesizer, harp, accordion), Bob Ostertag (sampling keyboard) and Kevin Norton (drums, percussion). Later Charles Hayward replaced Norton on drums. The group existed until mid-1991, performing live in Europe, North America and the former Soviet Union. A double CD, That House We Lived In, from their final performances in Austria, Germany and Italy in May and June 1991, was released in 2003. During the 1980s, Frith began writing music for dance, film and theater, and a number of his solo albums from this time reflect this genre, including The Technology of Tears (1988), middle of the moment (1995), Allies (1996) and Rivers and Tides (2003). Exploring new forms of composition, Frith also experimented with chance or accidental compositions, often created by building music around "found sounds" and field recordings, examples of which can be found on Accidental (2002) and Prints (2002). As a composer, Frith began composing works for other musicians and groups in the late 1980s, including The Rova Saxophone Quartet, Ensemble Modern and Arditti Quartet. In the late 1990s, Frith established his own Fred Frith Guitar Quartet consisting of Frith, Ren&eacute; Lussier, Nick Didkovsky and Mark Stewart. Their guitar music, varying from "tuneful and pretty, to noisy, aggressive and quite challenging", appears on two albums, Ayaya Moses (1997) and Upbeat (1999), both on Lussier's own Ambiances Magn&eacute;tiques label. The ex-Henry Cow members have always maintained close contact with each other and Frith still collaborates with many of them, including Chris Cutler, Tim Hodgkinson and Lindsay Cooper. Cutler and Frith have been touring Europe, Asia and the Americas since 1978 and have given dozens of duo performances. Three albums from some of these concerts have been released by Recommended Records. In December 2006, Cutler, Frith and Hodgkinson performed together at The Stone in New York City, their first concert performance since Henry Cow's demise in 1978. In 1995 Frith moved to Stuttgart in Germany to live with his wife, German photographer Heike Liss and their children Finn and Lucia. Between 1994 and 1996, Frith was Composer-in-Residence at L'Ecole Nationale de Musique in Villeurbanne, France. Frith relocated to the United States in 1997 to become Composer-in-Residence at Mills College in Oakland, California. In 1999 he was appointed the Luther B. Marchant Professor of Composition in the Music Department at Mills where he currently teaches composition, contemporary performance and improvisation. While he had never studied music in college, Frith's credentials of over forty years of continuous practice and self-discovery got him the position. He has, however, maintained that "most of my students are better qualified to teach composition than I am," and that he learns as much from them as they learn from him. In March 1997 Frith formed the electro-acoustic improvisation and experimental trio Maybe Monday with saxophonist Larry Ochs from Rova Saxophone Quartet and koto player Miya Masaoka. Between 1997 and 2008 they toured the United States, Canada and Europe and released three albums. In March 2008 Frith formed Cosa Brava, an experimental rock and improvisation quartet with Zeena Parkins from Skeleton Crew and Keep the Dog, and Carla Kihlstedt and Matthias Bossi from Sleepytime Gorilla Museum, and The Norman Conquest. They toured Europe in April 2008 and performed at the 25th Festival International de Musique Actuelle de Victoriaville in Victoriaville, Quebec, Canada in May 2008. Fred Frith has used a number of different guitars, including homemade guitars, over the years, depending on the type of music he is playing. For the more structured and refined music he has often used a Gibson ES-345, for example on his solo album, Gravity. For the heavier "rock" sound, as in Massacre, he has used an old 1961 solid body Burns guitar, created by the British craftsman Jim Burns. On his landmark Guitar Solos album, Frith used a modified 1936 Gibson K-11 guitar (q.v. for details). For Frith's early unstructured music, as with Henry Kaiser on With Enemies Like These, Who Needs Friends?, and his early table-top guitar solo performances, he used a homemade six-and eight-string double-neck guitar, created by a friend Charles Fletcher. Frith told Down Beat magazine in 1983: "It was the one and only guitar that he ever built ... he constructed it mainly out of old pieces from other guitars that I had, and for the body I think he used an old door." The possibilities offered by homemade instruments prompted Frith to start creating his own guitars, basically slabs of wood on which he mounted a pickup, a bridge, and strings stretched over metal screws. "The basic design of the instrument is supposed to be as rudimentary and flexible as possible," Frith said, "so I can use an electric drill to bore holes into the body of it to achieve certain sounds ... ."
Frith has used a variety of picks with his guitars, from traditional guitar picks to violin bows, drum sticks, egg beaters, paint brushes, lengths of metal chain and other found objects. Frith remarked: "It's more to do with my interest in found objects and the use of certain kinds of textures which have an effect on the string ... the difference between the touch of stone, the touch of glass, the touch of wood, the touch of paper ? those kinds of basic elements that you're using against the surface of the strings which produce different sounds." In a typical solo improvising concert, Frith would lay a couple of his homemade guitars flat on a table and play them with a collection of found objects (varying from concert to concert). He would drop objects, like ball bearings, dried beans and rice, on the strings while stroking, scraping and hitting them with whatever was on hand. Later he added a live sampler to his on-stage equipment, which he controlled with pedals. The sampler enabled him to dynamically capture and loop guitar sounds, over which he would capture and loop new sounds, and so on, until he had a bed of repeated patterns on top of which he would then begin his solo performance. Frith is the subject of Nicolas Humbert and Werner Penzel's award-winning 1990 documentary film Step Across the Border. He has contributed to a number of music publications, including New Musical Express and Trouser Press, and has conducted improvising workshops across the world. Frith's career spans over three decades and he appears on over 400 albums. He still performs actively throughout the world. Frith is also one of the subjects of the Canadian documentary Act of God, from the director of the award winning Manufactured Landscapes. The film is about the metaphysical effects of being struck by lightning. Frith was awarded the 2008 Demetrio Stratos Prize for his career achievements in experimental music. The prize was established in 2005 in honour of experimental vocalist Demetrio Stratos, of the Italian group Area, who died in 1979. Frith is the brother of Simon Frith, a well-known music critic and sociologist, and Chris Frith, a psychologist working at University College London.